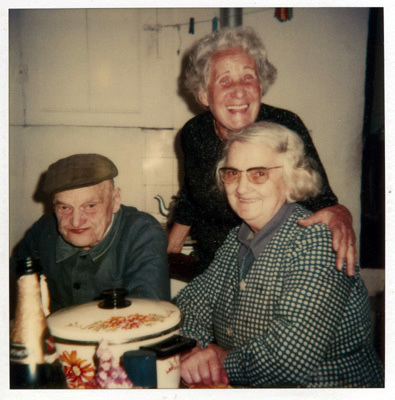 Mr. Herteaux, Germaine Ajzensztark (Francine's mother), and Mrs. Herteaux in the Herteaux's kitchen. The Herteaux's hid Francine, her father, and her sister from approximately September or October of 1943 until July 1944, close to a year. Saint Frimbault, Sarthe, France; 1985.